Red Pine is a rapid growing pyramidal pine with long (5-6"), sharply pointed, lustrous dark green needles growing in clumps of 2. The needles of Red Pine persist for 4 years. The buds are round, conical somewhat reddish. Red Pines can grow to 80-100' or more. The bark of Red Pine is orange-red when young and becoming plate like when mature. The thick bark gives protection to Red Pine from the heat of the occasional forest fire that sweeps thru the pine planes of Northern Michigan. 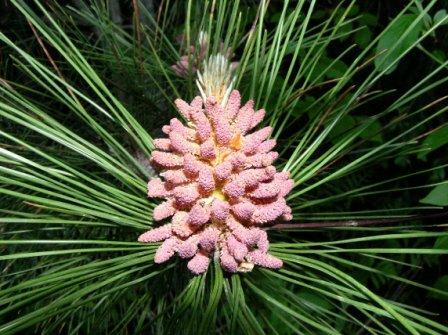 The cones of Red Pine much like Scotch Pine and Jack Pine are designed to pop open from the heat of a forest fire there by reseeding the burned over areas. 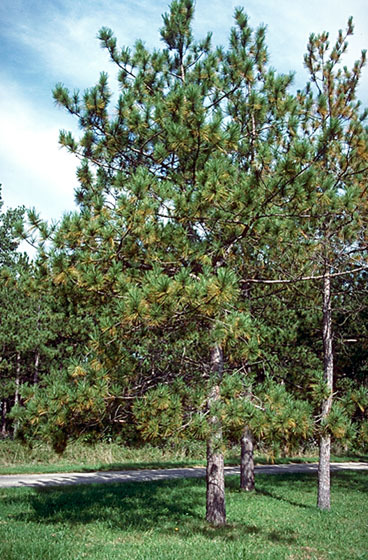 Red Pine is a very hardy pine, growing well in a variety of soils and can grow good in sandy, gravelly soils. It can handle windy locations but is susceptible to salt spray. Red Pine is one of the more cold hardy of the pine family withstanding -50 F. Red Pine is best grown north of Tennessee to Oklahoma line. When growing in the open Red Pine can be short, some what stocky with thick heavy branches. In dense woods Red Pine will develop a long, tall branchless trunk. Red Pine is good as an ornamental or as a windbreak. 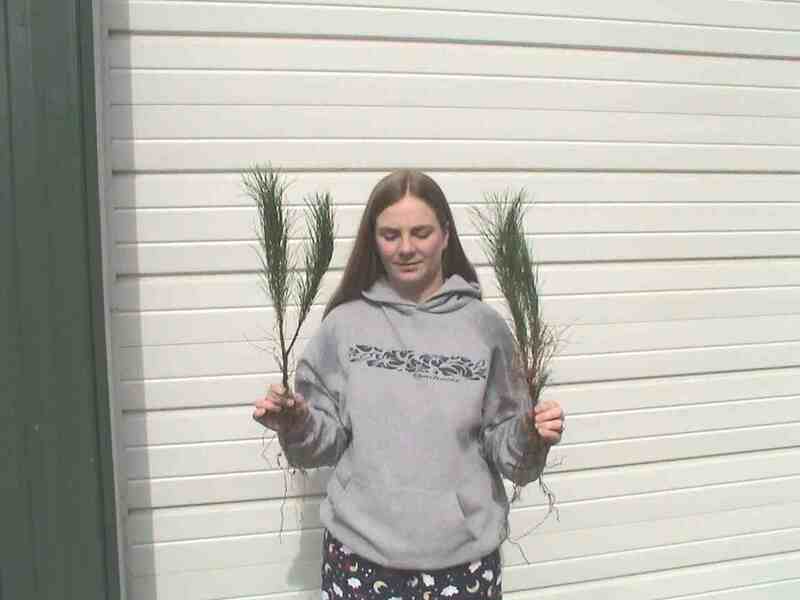 To buy Red Pine seedlings or to check prices of Red Pine see the drop down menu below. For other evergreen prices see the blue link below. To order Red Pine by PHONE: We're glad to take your order by phone. For your convenience, we have a toll free number 800 568-9179. Phone orders can be charged to VISA or MasterCard accounts.